Buy our natural remedies, holistic supplements, healing balms and sprays for dogs. A range of organic, blended herbs, roots, seeds and fruits to support your dog's specific requirements. 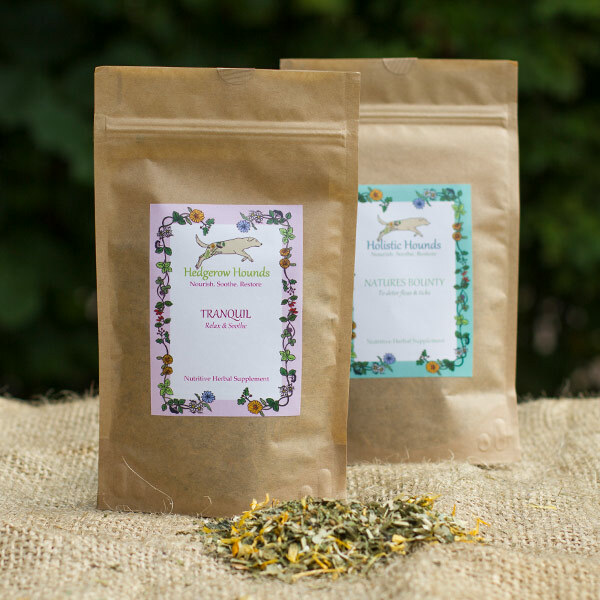 An aromatic blend of dried, organic flowers, perfect for bathing or spritzing your dog's coat. Our collection of key minerals and herbal extracts with useful medicinal and healing properties. Keep fleas and ticks at bay with our beautifully fragranced organic coat spray. Order your 'Adore the Paw' balm and soothe scrapes, dry skin and cracked paws, organically.